The holiday season is quickly approaching which means the season accompanied by a flurry of parties, gift giving, family photo cards, seasonal decorations, and fun flavored drinks is almost here. There are so many wonderful ways to reign in and celebrate this time of year but one of my absolute favorite things to do: send handwritten cards! With people’s schedules getting busier and busier, this small but important gesture is becoming increasingly important! I write cards for everything: birthdays, Easter, Thanksgiving, St. Patrick’s day, Christmas, New Years. Basically any chance I get! This is one of my favorite ways to connect with the people I love and remind them that I care about them. My absolute favorite card company is Basic Invite! I love them because they make it super easy to customize cards and party invites. 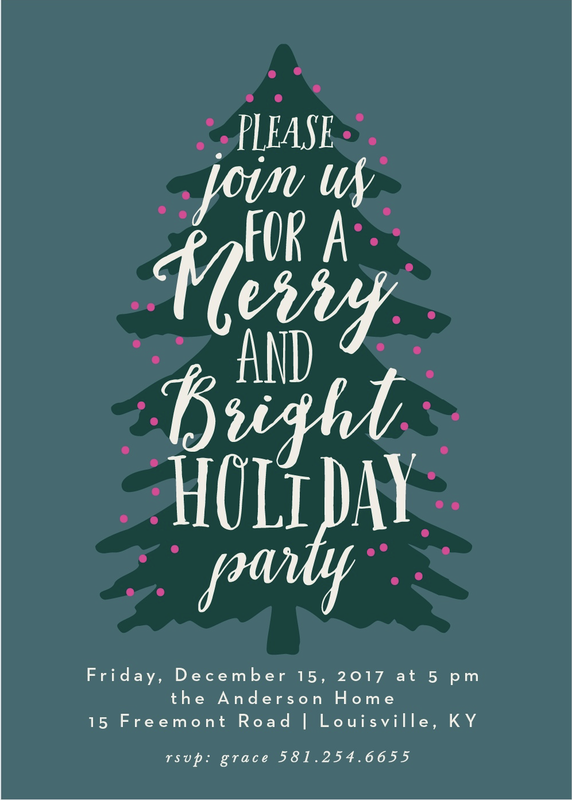 They have great holiday party invites , company Christmas party invitations, and holiday photo cards! As a new mom, I don’t have the time anymore to always write handwritten cards, but I still want to let people I love know I am thinking about them. Basic Invite is the perfect platform to do this… I just hop online, customize a card and send it off! In addition to their wide selection, they have unlimited colors for online invitations. There are over 180 color options and you can preview the invitation before you send it out! This ensures you the invite is perfect down to even the smallest detail. For big orders or large party invites you also receive custom samples. Once you design your card or invite, Basic Invite will send a printed sample of the actual invitation so you can feel and see it before sending it out! Another reason I love Basic Invite is their address capturing service. This send out a notification to friends and family through social media platforms like facebook and twitter and then allows them to fill in their address. Basic Invite then stores all the addresses so that you can use them again and again! It’s a built in contact book and it makes sending cards so much easier! Right now Basic Invite is offering 30% off with coupon code: holi30! Go into their site today and look through over 250 beautiful Christmas card and holiday card designs. I want to challenge you to make a commitment to get writing this holiday season. A great way to do this is to set an intention of reconnection and gratitude for the ones you love.